The histories of various well-known people, including Richard, Duke of York and Thomas, Earl of Lancaster, record that they were buried at Pontefract. However it takes a little more digging to discover exactly where, because Pontefract had both a priory and a friary and even the information displayed on the signage board at the site of St John’s Priory seems to be incorrect when compared with historical records. 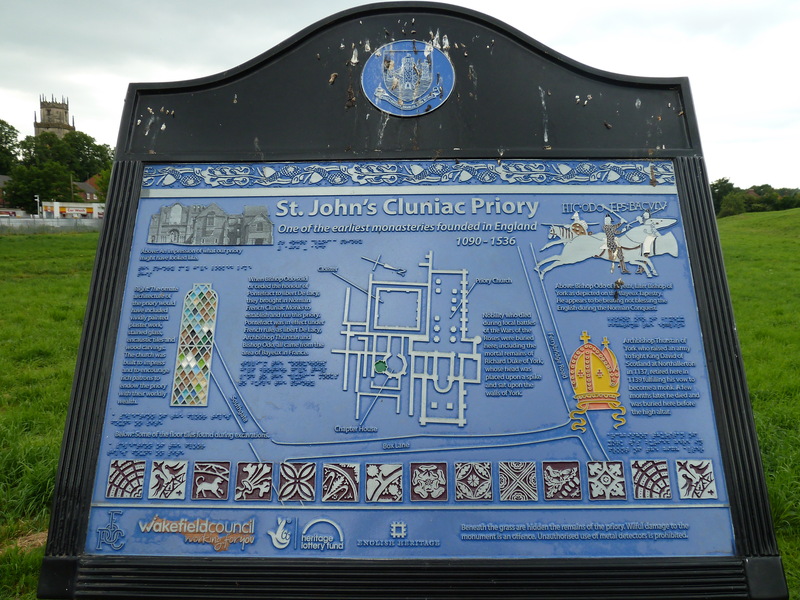 The Cluniac Priory of St John is the older of the two monastic establishments. There are no remains above ground but the site of the priory is preserved and the outlines of the buildings can clearly be seen on images from Google Earth. 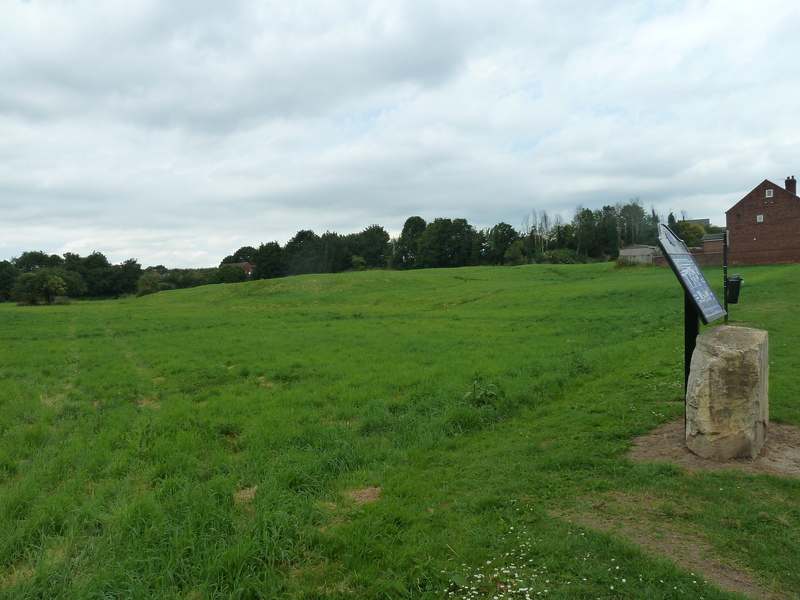 The site can be found on Box Lane, close to Pontefract Castle. The Priory of St John was founded by Robert (1) de Lacy in the reign of William Rufus, although the exact date is unknown. Norman lords were keen founders of ecclesiastical institutions and the foundation of St John’s near to the castle at Pontefract was no doubt an attempt to ease the passage of the de Lacys to heaven. The priory was founded ‘for the good estate of the founder, and the souls of William I, the founder’s parents – Ilbert and Hawise – and all his ancestors and heirs’. The priory was a daughter house of La Charité-sur-Loire. The first monks came from there and were housed in what later became St Nicholas’ Hospital. The appointment of the prior was by the mother house in France and a yearly payment was sent from Pontefract, although this was confiscated in the reign of Edward III. It’s recorded in the Historia Laceiorum, a 15th century genealogy of the de Lacy family, that several members of the de Lacy family lie here. Robert’s parents, Ilbert and Hawise are said to be buried at the right and left of the altar. Robert’s son Ilbert is recorded as being buried between the tomb of his mother, Matilda, and the wall at the altar of St Benedict, and the founder himself is recorded as being buried at the right hand corner of the altar of St Benedict, within the priory church. Most historians dismiss this information and record that the date of death and place of burial of both Ilbert de Lacy and Robert de Lacy is unknown. The probable reason is that the Historia Laceiorum is a flawed document with provable errors which has led to it being widely mistrusted, but it would be reasonable to suppose that at least Robert’s wife, Matilda, and son, Ilbert, were buried here. Another burial in the priory was that of Archbishop Thurstan. He retired here in January 1140 to fulfil a vow taken in his youth to become a monk of the Cluniac order. He died on 5th February after reciting the office of the dead. ‘Whilst the rest were kneeling and praying around him he passed away to await in the Land of Silence the coming of that Day of Wrath, so terrible to all, of which he had just spoken.’ Some years later his grave was opened and his remains were found to be sweet smelling and undecayed. 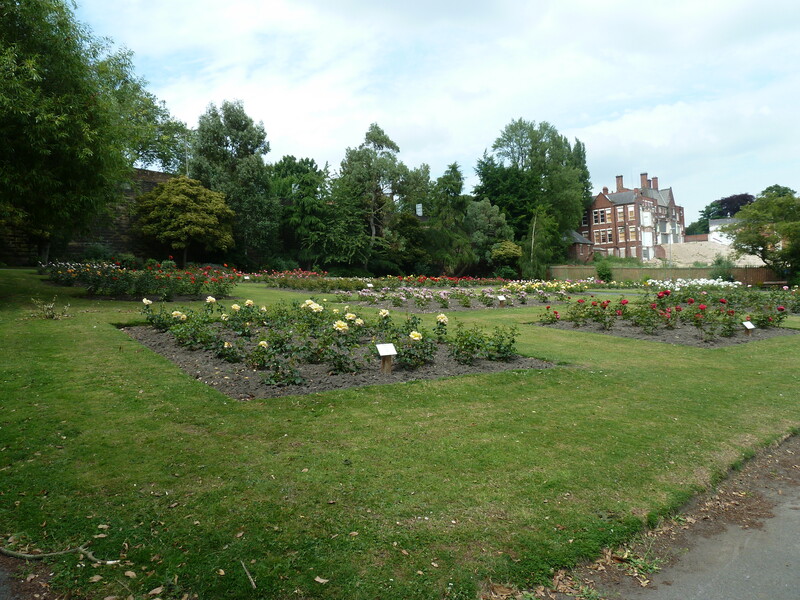 The Dominican Friary of St Richard at Pontefract has also disappeared, although traces were found during the construction of the new hospital when it was discovered that it lies somewhere to the east of Friarwood Valley Gardens. The friary was founded by Edmund de Lacy in 1256. After the death of his father, John de Lacy, Edmund became a ward of the king and was given into the care of a tutor, Richard Wych, who later became Bishop of Chichester and was made a saint after his death on 3rd April 1253. Edmund chose the town of Pontefract to establish the friary in his honour and the story of the foundation is told by a contemporary Dominican, Ralph de Bocking, in his life of Richard Wych. Edmund de Lacy, accompanied by discreet men, both religious and secular, laid the foundation stone with his own hands, saying: ‘To the honour of our Lady Mary, mother of God and Virgin, and of St Dominic, confessor, to whose brethren I assign this place, and also of St Richard, bishop and confessor, formerly my lord and dearest friend, I wishing to found a church in this place lay the first stone’. Upon these words, the stone split into three parts, as if to approve the choice of the three patron saints. Unlike the Cluniac order, the Dominicans were an open order who went about the countryside in pairs, preaching. They were known as the Black Friars from their black habits. When Edmund de Lacy died on 22nd July, 1257, he left his heart to be buried in the Dominican church at Pontefract. It’s probable that the church was not complete at this date and the rest of his remains were buried beside his father and grandfather at Stanlaw Abbey in Cheshire, but were later moved to Whalley Abbey when the monks transferred there. A list of burials at St Richard’s Friary was compiled by John Wriothesley, Garter King-of-Arms, who died in 1504. Presumably taken from the friary records, he records that the heart of the founder, Edmund de Lacy, is buried there. Also listed are Edmund’s wife, Alice, daughter of the Marquess de Saluzzo, their infant son John and daughter Margaret; also the heart of Alice’s husband, George de Cantlowe, and their infant son; also Agnes de Vescy, who was Alice’s sister. He also lists the hearts of Richard, Duke of York and his son Edmund, Earl of Rutland; also Richard Nevill, Earl of Salisbury, and his son Thomas. These are the Yorkist noblemen who were killed at, or executed following, the battle of Wakefield. 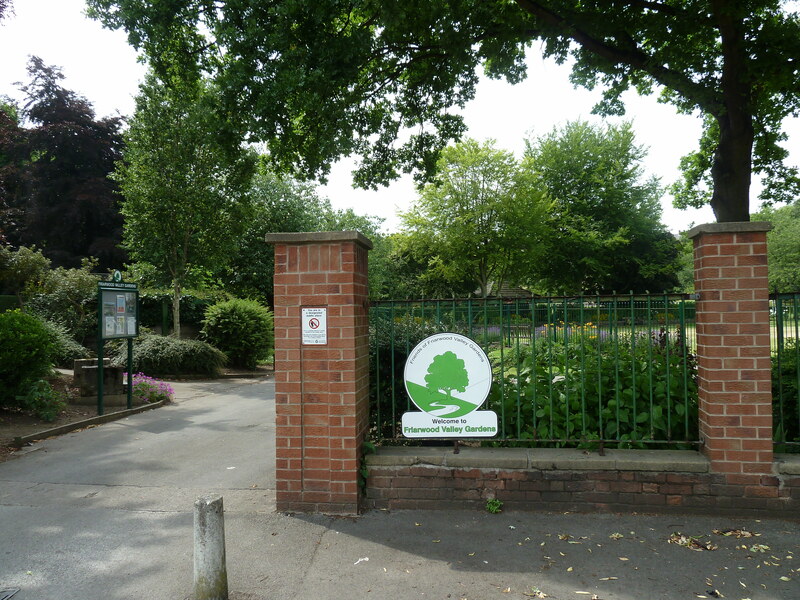 It is sad, however, that when I visited Pontefract, the information board that has been put up on the site of the Priory of St John claims that those who were killed at Wakefield were buried there. The bodies of the duke of York and his son Edmund were transferred from Pontefract in 1476 when the duke’s son Edward was king. They were taken in procession to the church near to their family home at Fotheringhay. Richard Nevill and his son Thomas were removed to Bisham Abbey. At the reburial of Richard III earlier this year, Benedict Cumberbatch commented that having found the king under a car park, in the remains of the Greyfriars, he hoped the tomb in Leicester Cathedral would not be lost to future generations. It was a thought-provoking thing to say because I’m sure that Robert de Lacy and Edmund de Lacy never even considered that their magnificent religious foundations would one day no longer exist and that their tombs would be destroyed. It took the actions of only one man – Henry VIII. We must strive to ensure that someone in the future doesn’t destroy the history we have now and that what remains is recorded accurately and preserved. Any possibility that the 4th. son of Robert de Lacy (1), “Ralph the Red” is buried here. Or is is more likely he is buried at Mytton Church which he founded in 1103. That’s an interesting question. Wealthy Norman nobles would normally be buried in a monastic foundation where the monks were available to pray for their souls. If Ralph was Robert’s son, and I think he was, my guess would be that he would want to be buried in a friary or priory. So, yes, it is possible he is buried at Pontefract priory. OK, I think it is a possibility as their is nothing to suggest he is at Mytton Church. and if so another clue to his blood relationship to the de Lacy family? a major undertaking. Do you know the the reasoning for that move and location. The monks who moved to Whalley were originally at Stanlaw Abbey. Stanlaw was on the coast at the mouth of the River Mersey and the monastery had been subjected to flooding so they asked Henry de Lacy if he could provide them with an alternative site. No one is sure why Henry chose Whalley, but he chose it despite objections from the rector there, Peter de Cestria (who was John de Lacy’s illegitimate son and therefore Henry’s uncle). But Peter de Cestria was an old man and nobody expected him to live much longer, so the monks were told that the move could take place after his death. Peter de Cestria lived on and on! Not only did he live on, but he turned the local people against the idea of the monastery at Whalley, telling them that the monks would ruin the local economy by taking rents and tythes for themselves. In fact, the local people were so fed up about the monks coming that they staged a protest on the day the first ones arrived! The monks too were not completely happy at Whalley. For many years they complained about the lack of wood for building. Looking at the landscape now that seems hard to imagine but it must have been quite different then. After the death of Henry de Lacy they petitioned Thomas, Earl of Lancaster (now owner of the de Lacy lands) for a different site and he was making arrangements for them to move to Toxteth, where there was a forest, when his execution meant the land reverted to the king (Edward III). I think the fact that the monks moved to a site near Mitton is a coincidence rather than having significance. Great explanation! I remember about Peter de Cestria at Whalley. I think the Whalley Abby lands would have reverted to Edward 2nd.(?) in 1322. Perhaps gaining lands was another reason Edward ll to execute Thomas (?). I think Thomas would have been a first cousin to Edward ll as well (?). Perhaps the point was made more so outside his wifes families castle at Pontefract. Many of these people had a bad ending for their deeds; Thomas, Edward ll, etc. I am a bit confused about the reference to “Richard” de Lacy in the last paragraph. The others I am familiar with but who was he? That was my error! It should have read ‘Robert’ but I have Richard on the brain at the moment. Thanks for spotting it. I’ve amended it. Such an interesting blog – thank you!